Delius - List of works. Best Classical Tunes. Frederick Delius (1862-1934) was an English Impressionist or Romantic composer who lived the later part of his life in France. His father was a German wool merchant who became a naturalized British subject in 1860. Frederick went to Bradford Grammar School and the International College, London. In 1884 he went to Florida, USA., as an orange planter, but studied music in his spare time. Then he went to Leipzig in 1886 to study music in depth, and there he met Grieg. Then he went to Paris in 1888, where he enjoyed a very "Bohemian" life-style, which caused his blindness in later life. Finally he married a Norwegian artist and settled in a village near Paris - Grez-sur-Loing, where he lived for the rest of his life. His music became known in Germany at first, but later became popular in Britain when the conductor Sir Thomas Beecham championed it. Delius was a contemporary of Elgar, and also of Debussy. His music has a distinctive and original sound, but Delius did not have Elgar's genius for sweeping original melodies and vigorous expression. He wrote several tone poems, and for this reason has been described as an impressionist by some writers. He became blind around 1922, but carried on composing, with the help of his friend Eric Fenby. 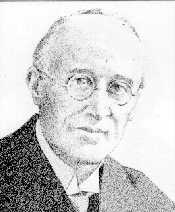 Major works by Delius include: Brigg Fair for orchestra; 3 violin sonatas; the tone poem Over the Hills and Far Away; 2 Dance Rhapsodies for orchestra; On Hearing the First Cuckoo in Spring; and Summer Night on the River. Works written by Delius Audio is available for 2 tunes by this composer.